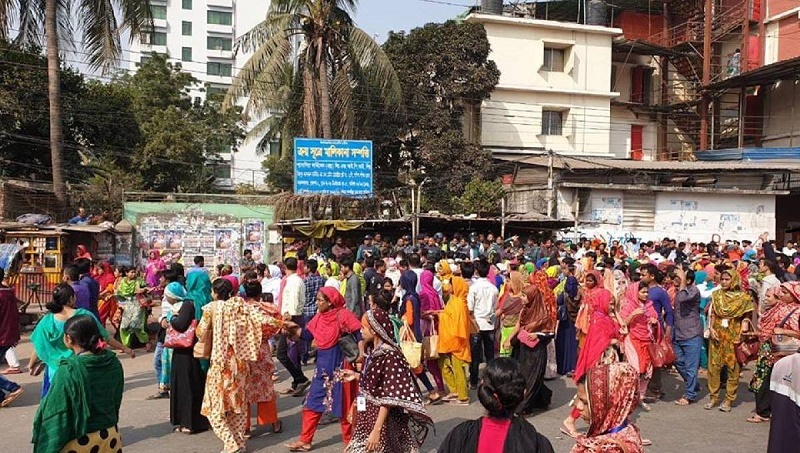 Readymade garment workers staged demonstrations in different parts of the city and Gazipur for sixth consecutive day on Saturday demanding cancellation of ‘discriminatory wage board’ announced by the government for them, UNB reports. Besides, a chase and counter-chase took place between the owners group and the workers group as the workers did not join their work in BCL area. Meanwhile, workers tried to block Dhaka-Tangail highway in BSCIC area in Konabari, leading to a chase and counter-chase between police and workers.